Oh Flamingo! earrings are the eye-catching ear pieces you want to wear! Why? Because who doesn’t love Flamingos?! They’re pretty and unique, colorful and alluring, and fun-in-the-sun certified! Oh Flamingo! earrings come in your choice of three cool colors: Hello Yellow, Talk to me Teal, and Wink at me Pink! 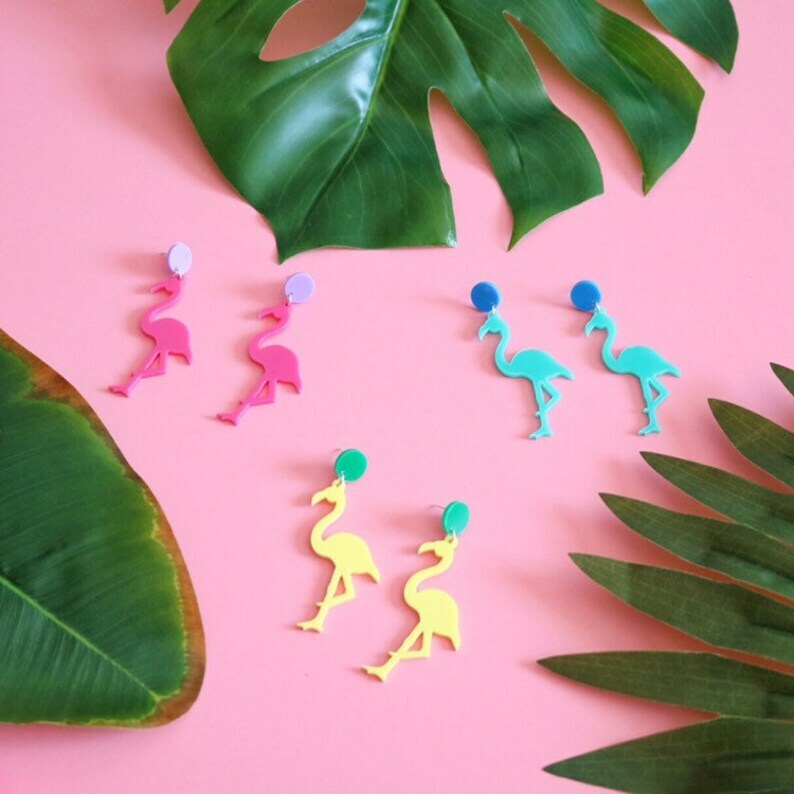 Both the top and bottom of the earring are made with laser-cut acrylic pieces. You get beautiful bright colors and shapes. Can’t choose just one color? Get all three colors for a playful mix and match look!